We’re happy to announce that the “Do” menu is now active, and the first submenu, “Learn,” is also active! 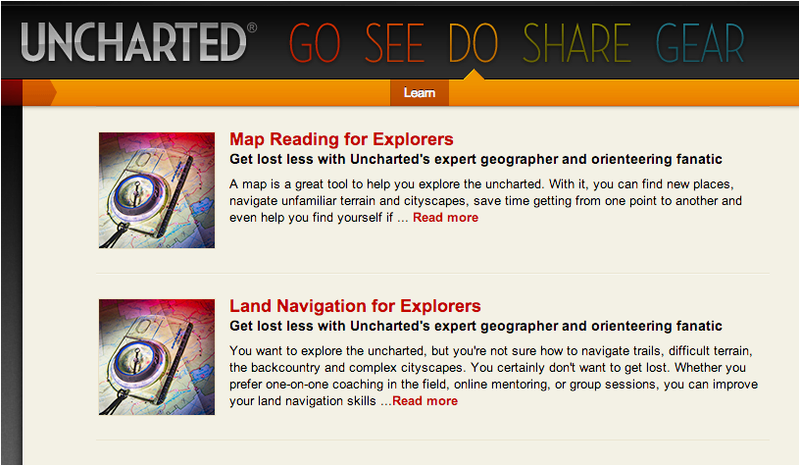 In practical terms, this means that you can start learning and improving your explorer skills through Uncharted. The first learning opportunities include personalized custom training in map reading and land navigation. We’ll add additional learning opportunities as we move the project along. We’ve been eager to provide this kind of support to our audience, so we’re very happy to have reached this milestone and look forward to delivering this training many times over!